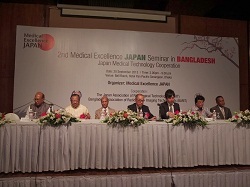 On September 20, 2013, Emergency Assistance Japan hosted a seminar - funded and supported by the Ministry of Economy, Trade and Industry of Japan - to promote leading edge medical technologies and services in Bangladesh. 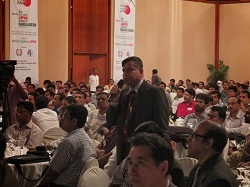 The seminar drew a crowd of over 500 doctors and technologist, and was attended also by high-ranking officers of the Bangladesh government. The Ministry of Economy, Trade and Industry of Japan presented its plan on establishing an Imaging Diagnostics Centre and providing continuous training opportunity was met with very high enthusiasm. 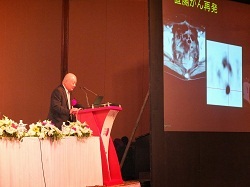 The first step will be to dispatch Japanese experts on imaging diagnostics to Bangladesh starting in December 2013. Med in Japan will continue to strive to contribute to society through our work on the internationalization of Japanese medical technologies and services, as well as reaching out to patients overseas who seek medical treatment in Japan. Bangladesh Government (Ministry of Health and Family Welfare), Bangladesh Medical Association, Bangladesh Association of Radiology and Imaging Technologists (BARIT), Bangabandhu Sheikh Mujib Medical University, The Japan Association of Radiological Technologists (JART), Medical Excellence JAPAN, Toshiba Group, Hitachi Group. 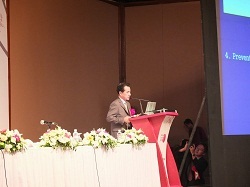 Right: Speakers represented both governments and participating organizations.